AFC Fylde’s home fixture against Barrow next month will be the first Coasters match ever to be broadcast live on TV. 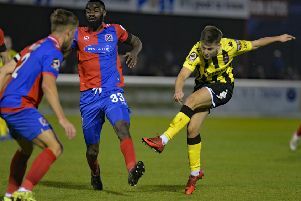 The bank holiday Monday match at Mill Farm on August 28 is among the first batch of National League fixtures chosen by BT Sport for live screening. Originally scheduled for 3pm, the match has been moved back to 7.45pm for TV. It is the fourth of five Vanarama National League fixtures so far confirmed for broadcast on the subscription channel, starting with Sutton United v Leyton Orient on the opening day, August 5.